A working relationship was established between Dr. Thomas Grupp the manager of Bayern Genetik / Bavarian Fleckvieh in Germany and my late father Werner Popp in 1999. The goal of this venture has always been to deliver the very best of Fleckvieh Genetics to dairy farmers in the United States and Canada. Big on Expertise or Big on Size and Advertising? We choose Expertise….we are family run business that has spread over the years’ with enthusiastic dairy farmers using Fleckvieh. We have people working with us throughout Canada and the United States and have always stressed the importance of understanding and knowing the breed. Providing the best of information and the best and most suited sires to our customers. Dr. Popp has well over 20 years experience in the livestock industry. He holds a doctorate in Ruminant Nutrition – he is well respected in both research and extension communities. In 1998 John and his wife decided to move back to the family farm. Along with their kids, Viktor and Hanna, the Popps operate a beef farm with 200 adult cows. 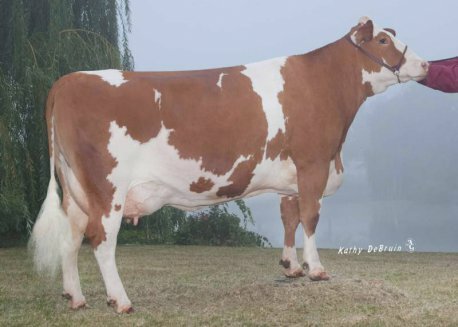 The herd is used in part as a recipient herd for top quality Fleckvieh dairy embryos. Hanna enjoys the work with the animals whereas Viktor likes time spent seeing farms and learning about how dairy farmers manage their operations. 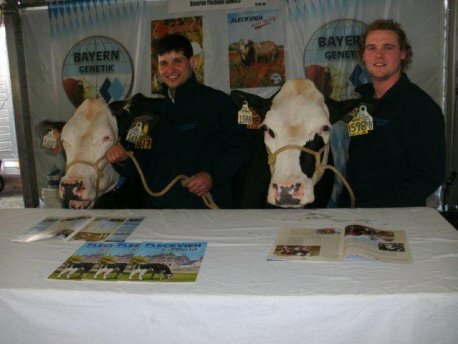 We promote Fleckvieh and do some work in consulting dairy nutrition. The interest in nutrition is primarily to transfer concepts learned in Europe to North America. We believe it is important to focus on forage based dairy feeding programs…an interesting link…www.crystalcreeknatural.com. Our farm and also home to Big Bear Genetics is located in Erickson, Manitoba. Virtually right in the middle of Canada. 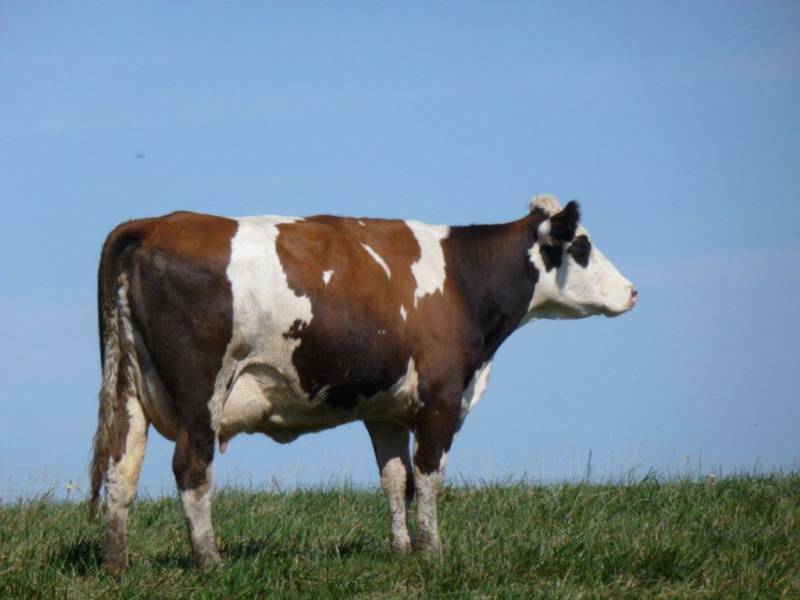 Being the first to introduce Bavarian Fleckvieh to dairies starting in the year 2000 we have led the concept of crossbreeding with Fleckvieh in North America. We have 1000’s of cows milking from our genetics in Canada and the US. 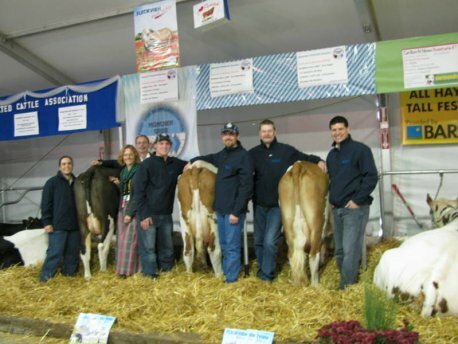 In 2010 we saw our ten year anniversary at World Dairy Expo in Madison, Wisconsin. Once again we brought some cows to the Show. We feel blessed to be able to work with Fleckvieh and our partners in Germany and hope to be able to work with you. We enjoy seeing our customers succeed with their dairy operations. We would enjoy to meet you and would love the opportunity to earn your business. Sincerely, John Popp – President, Big Bear Genetics Ltd.